Donald Hugh "Don" Henley (born July 22, 1947) is an American singer-songwriter, producer, and drummer, best known as a founding member of the Eagles before launching a successful solo career. Henley was the drummer and co-lead vocalist for the Eagles from 1971�1980, when the band broke up, and from 1994�present, when they reunited. Henley sang the lead vocals on Eagles hits such as "Witchy Woman", "Desperado", "Best of My Love", "One of These Nights", "Hotel California", "Life in the Fast Lane", and "The Long Run". After the Eagles broke up in 1980, Henley pursued a solo career and released his debut album I Can't Stand Still, in 1982. He has released four studio albums, two compilation albums, and one live DVD. His solo hits include "Dirty Laundry", "The Boys of Summer", "All She Wants to Do Is Dance", "The Heart of the Matter", "The Last Worthless Evening", "Sunset Grill", "Not Enough Love in the World", "New York Minute" and "The End of the Innocence". The Eagles have sold over 150 million albums worldwide, won six Grammy Awards, had five #1 singles, 17 Top 40 singles, and six #1 albums. They were inducted into the Rock and Roll Hall of Fame in 1998 and are the biggest selling American band in history. As a solo artist, Henley has sold over 10 million albums worldwide, had eight Top 40 singles, won two Grammy awards and five MTV Video Music Awards. Combined with the Eagles and as a solo artist, Henley has released 25 Top 40 singles on the Billboard Hot 100. 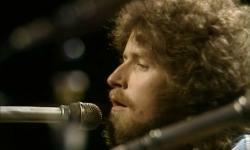 He has also released seven studio albums with the Eagles and four as a solo artist. In 2008, he was ranked as the 87th greatest singer of all time by the Rolling Stone magazine.